What is the legal age to use recreational marijuana? 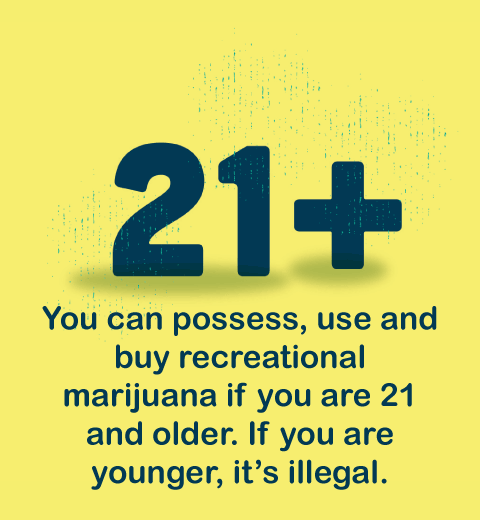 You can possess, use and buy recreational marijuana if you are 21 and older. If you are younger, it’s illegal. Recreational users of legal age may purchase seeds, immature marijuana plants, cannabinoid products, and useable marijuana from licensed OLCC retailers. And are allowed 4 marijuana plants per household. Recreational marijuana cannot be used in public, even by those of legal age. Check with your landlord regarding their rules about using marijuana, growing marijuana, or making goods containing marijuana in their home or property. If you have a question that’s not answered here, take a look at the full list of FAQs or contactOLCC staff. We’ll do our best to get you the information you need based on what we know now. Additional information is available at marijuana.oregon.gov.